Opaque black violet color. Fruity, spicy, herbal aromas and flavors of eucalyptus, blueberry chutney, menthol tobacco, and vanilla mint fudge with a satiny, tangy, moderately sweet medium-to-full body and a tingling, subtle, long finish with elements of spiced cherries and honeyed huckleberries with a suggestion of oak flavor. A rich Late Bottle Vintage style Australian port that will put a pleasurable period on a perfect meal. Bottom Line: A rich Late Bottle Vintage style Australian port that will put a pleasurable period on a perfect meal. 89 • Mr. Riggs NV Battle Axe Sparkling, Shiraz, McLaren Vale 13% (Australia) $.00. 90 • Mr. Riggs 2014 "The Gaffer", Shiraz, McLaren Vale 14.5% (Australia) $.00. 91 • Mr. Riggs 2014 "Piebald", Syrah, Adelaide 14.5% (Australia) $.00. 95 • Mr. Riggs 2014 "The Magnet", Grenache, McLaren Vale 14.5% (Australia) $.00. 93 • Mr. Riggs 2014 John Riggs "The Truant", Shiraz, McLaren Vale 14.5% (Australia) $.00. 91 • Mr. Riggs 2014 "Three Corner Jack", McLaren Vale 14.5% (Australia) $.00. 87 • Mr. Riggs NV Battle Axe, McLaren Vale 13% (Australia) $18.99. 88 • Mr. Riggs 2014 The Elder, Shiraz, McLaren Vale 18% (Australia) $24.99. 93 • Mr. Riggs 2016 Sticky End, Viognier, McLaren Vale 13% (Australia) $20.99. 91 • Mr. Riggs 2015 Piebald, Syrah, Adelaide Hills 14.5% (Australia) $21.99. 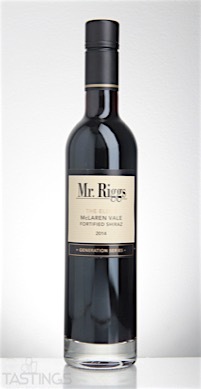 93 • Mr. Riggs 2013 Shiraz, McLaren Vale 14.5% (Australia) $35.99. 93 • Mr. Riggs 2015 The Gaffer, Shiraz, McLaren Vale 14.5% (Australia) $18.99. 88 • Mr. Riggs 2016 Watervale, Riesling, Clare Valley 12.5% (Australia) $18.99. 96 • Mr. Riggs 2014 The Magnet, Grenache, McLaren Vale 14.5% (Australia) $21.99. 90 • Mr. Riggs NV Sparkling Shiraz, McLaren Vale 12.5% (Australia) $20.00. 87 • Mr. Riggs 2015 Piebald, Shiraz, Adelaide Hills 14.5% (Australia) $21.99. 93 • Mr. Riggs 2014 Shiraz, McLaren Vale 14.5% (Australia) $41.99. 85 • Mr. Riggs 2016 Watervale, Riesling, Clare Valley 12.5% (Australia) $17.99. 88 • Mr. Riggs 2015 The Magnet, Grenache, McLaren Vale 14.5% (Australia) $21.99. Fortified wines, those inevitable after-dinner elixirs, have been a part of the American wine industry since its inception. The early American taste for fortified wines was well documented, as the signing of the Declaration of Independence was toasted with a round of Madeira. It, along with port and sherry, was the preferred drink of the Eastern aristocracy well into our own century. That the native industry should strive to compete for this market was only natural. As in much of the wine-producing New World, vintners took a run at sherry (and do to this day), but the results on the whole pale, often quite literally, when compared to the Spanish original. Port, however, has fared beter. While the climate and soil of Jerez has not been duplicated elsewhere, the broiling heat and winemaking practices of the Douro have proven much easier to replicate--perhaps nowhere more so than in California's Amador County and San Joaquin Valley. Port-style wines are being made beyond California. As might be expected, a certain measure of heat helps; the most successful examples have come from warm states such as Missouri. 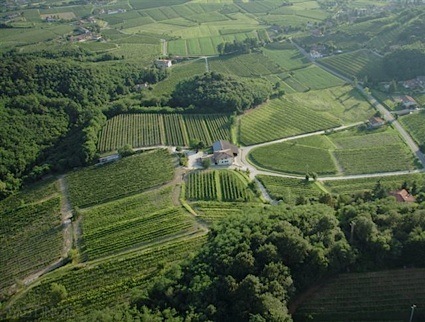 As the saying goes, a little residual sugar can cover a multitude of sins, but the Missouri ports of producers such as Stone Hill and Mount Pleasant truly stand on their own, and have proven as consistently competent as many California versions. Additional alcohol technically means these wines can age longer, but that period also depends on the type of wine produced, as some ports and sherries are rather light and need to be enjoyed within a few years of their release. Given the higher percentage of alcohol, pairing these wines can be tricky, as they could overwhelm milder dishes. For port, rich cheeses, especially blue, are fine, as are walnuts. For a dry sherry, a tomato or cream soup would be an excellent match, while for a sweeter sherry, an almond tart or a simple pound cake with honey would be an excellent match. Otherwise, enjoy these wines on their own. Mr. Riggs 2014 The Elder, Shiraz, McLaren Vale rating was calculated by tastings.com to be 88 points out of 100 on 11/15/2016. Please note that MSRP may have changed since the date of our review.